Southwest Utah may not be on your radar just yet, but it should be. This gorgeous part of the state is just a stone’s throw from Las Vegas, a couple hours by plane from Canada, and is jam packed with some of the most beautiful views you can imagine. 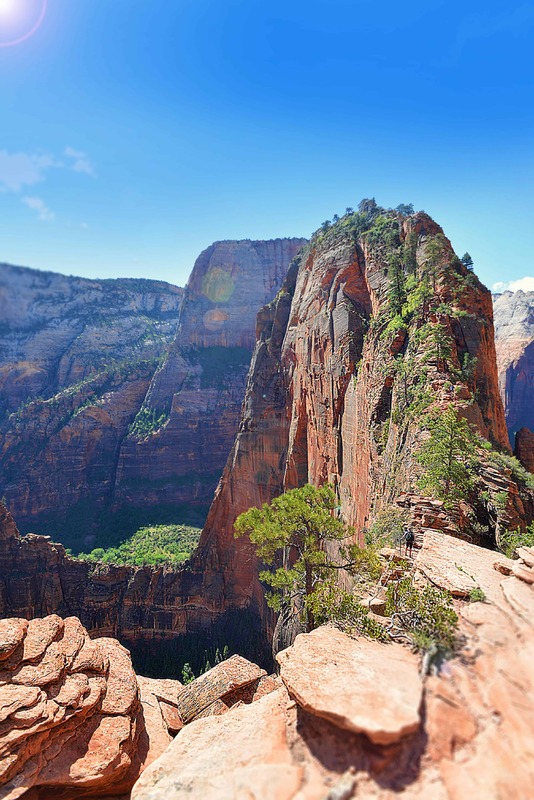 This dramatic hike in Zion National Park is most definitely worth the effort of the climb, but is not for the faint of heart. It starts out with a 3.2 kilometre uphill trek, followed by a nice shaded walk through a canyon, and then straight up again, along 21 switchbacks. The views throughout the entire hike are gorgeous, but it’s after the switchbacks, aptly called Walter’s Wiggles, that the scenery truly stuns, at Scout Landing. Here, you’ll get great views of Zion, along with a sneak peek at the rest of the trek: nearly 1 kilometre of narrow, chain-lined pathway flanked by steep cliffs on either side. The view from the end, however, is seemingly endless, and is absolutely worth the grueling trek up. 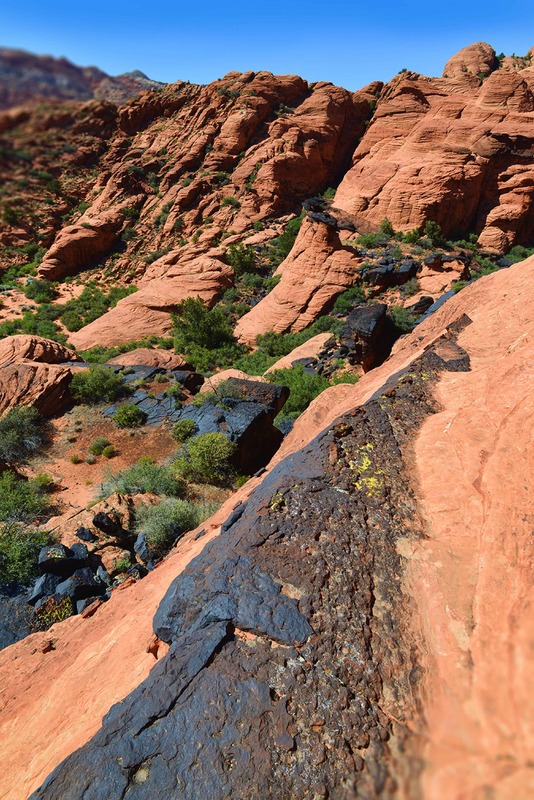 Just a few minutes outside of downtown St. George is Snow Canyon State park – an otherworldly combination of sand dunes, canyons, lava tubes, and rock formations that will make you feel like you’ve gone a whole lot further from home than Utah. The petrified dunes were created by sediment from an ancient sea, resulting in sand dunes frozen in time more than 90 metres above the canyon floor. The trail leading to the dunes is just over 1.5 kilometres, making it the perfect spot to spend a few hours exploring, picnic and family in tow. 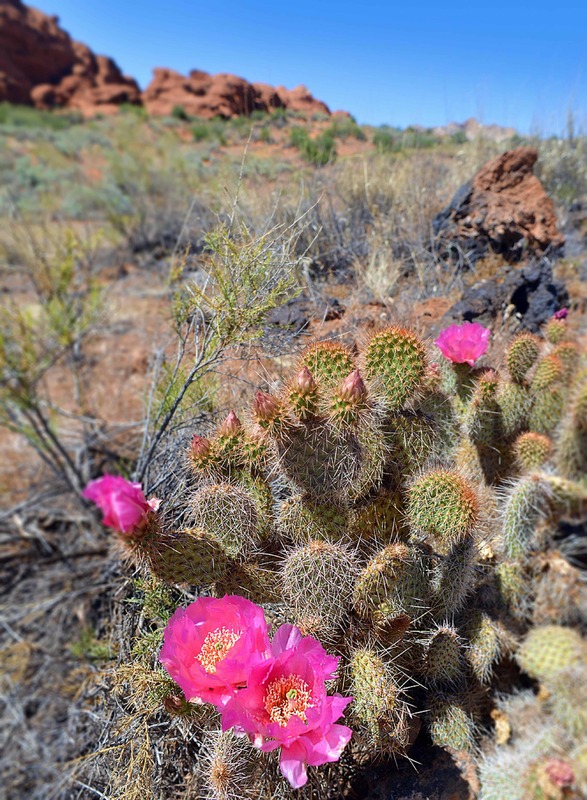 Springdale is the gateway to Zion National Park, and is a beauty all in its own. It’s also the spot to rent bikes and other equipment, grab a shuttle into the park, and cool down with a cold beer after a hot day on the trails of Zion. The very best part? If you’re staying in Springdale, you’ll wake up to the sun rising on the high cliffs that surround the town – and go to bed with the sun setting on them. Sounds pretty perfect, doesn’t it? 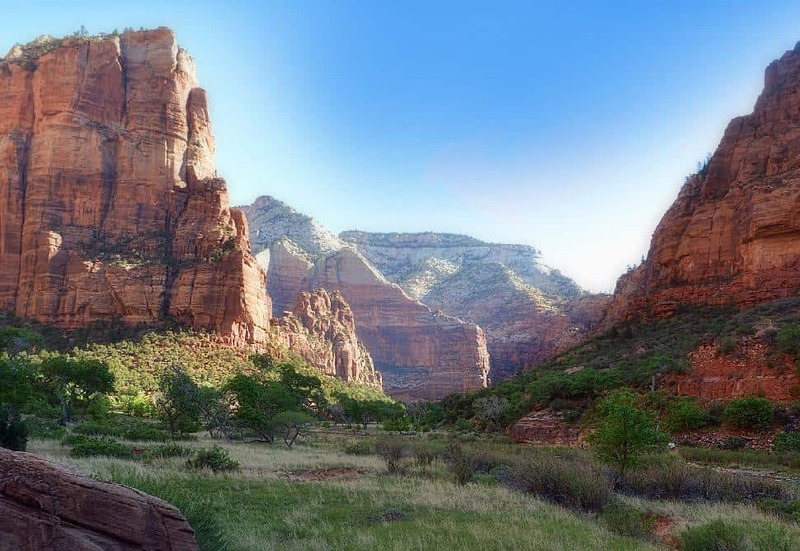 All three of these gorgeous spots can be visited as part of a Sacred Rides Sublime Southwest trip, in conjunction with some epic mountain biking, canyoneering, and more. Looking for even more Utah travel inspiration? Get it here.